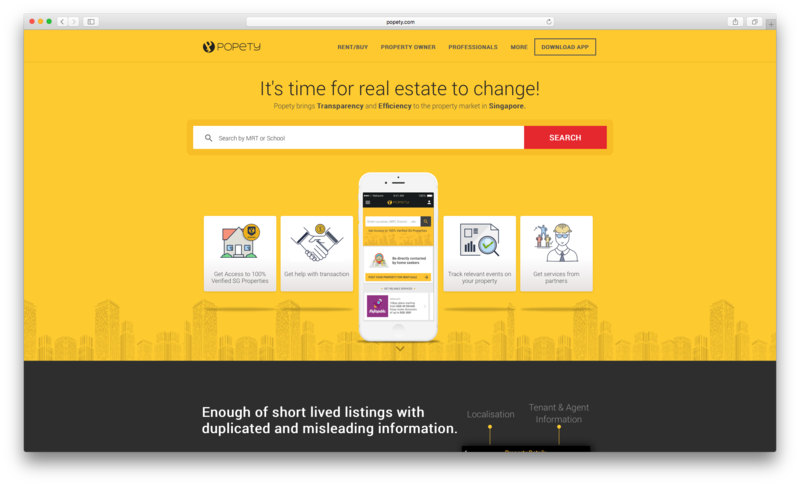 A game changer to the real estate industry, POPETY promises users “transparency and efficiency to the property market in Singapore”. With 2 different mobile applications to serve both consumers and agents, the team behind POPETY believes that Singapore is ready to transit out of traditional methods of transacting properties to tapping on available technology and using it to our advantage. Apart from digitizing the entire process to make it easier for property owners to track their portfolios, POPETY empowers users by allowing buyers and sellers to transact directly, while at the same time enabling agents to be the middleman and provide support to those who need it. POPETY also provides convenience to customers by offering relevant household services by partnering up with service vendors (e.g. furniture rental, air conditioning installation and maintenance, home cleaning) to offer an array of services to help owners manage their properties effortlessly. 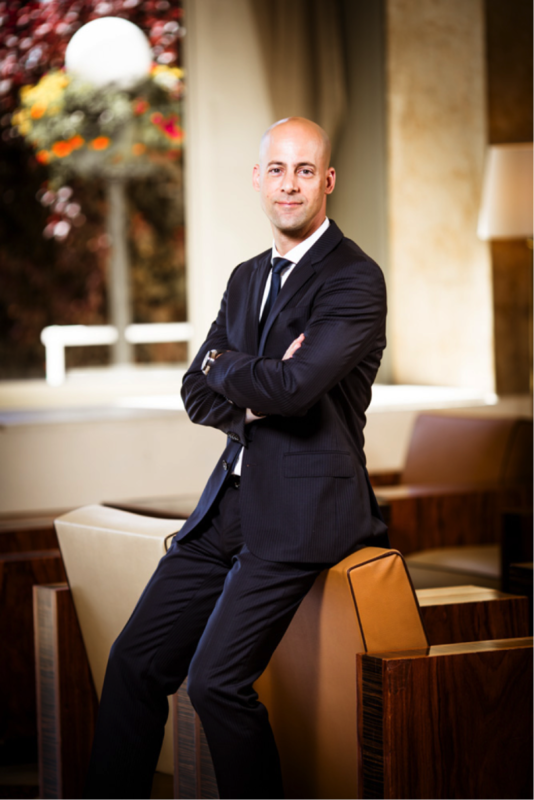 POPETY is chaired by CEO Michael Chaille, who has been living and working in Singapore for 4 years now. 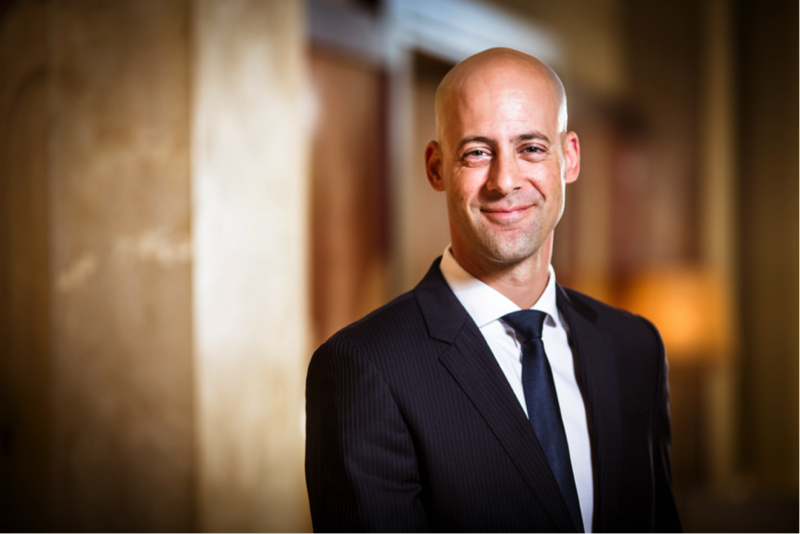 While he was previously running a management consulting company, Michael was inclined to start something new and original. Fueled by the support of friends and investors, he decided to take a leap of faith and that was how POPETY came about. The Redbrick Team had a chance to catch up with Michael to better understand POPETY and its features, as well as the man behind it. The Redbrick Team (RB): How does Popety work? Michael Chaille (M): POPETY Solutions – 2 Apps (both on iOS and Android) and a website – support C-to-C and B-to-C interactions. POPETY, which allows home owners, seekers and service providers to interact and access relevant data. POPETY PRO, which allows agents to acquire business opportunities and track their portfolio. RB: How long has Popety been around for? M: POPETY is a Singaporean company (private limited) incorporated early 2015 with no incubator/accelerator participation. RB: What is the company’s vision? M: POPETY helps real estate move into its next chapter. After 20 years of limited change, transacting and maintaining properties still goes through manual steps, paperwork and so many intermediaries. POPETY Application takes care of all market participants namely Owners, Seekers, and Agents. Fair, by offering verified information on properties (no open listings). Data is collected from various reliable sources to avoid conflicting, duplicated and unreliable listings. This source of truth will establish a common referential. Efficiency, by automating key activities required to search, transact, and maintain properties thanks to a network of partners. All this with a joyful experience enabled by technology. RB: Where did your inspiration for Popety come from? M: People are not happy about the way Real Estate works. While it represents the investment of a lifetime and the place where loved ones stay, accessing reliable information about properties and required services is tough. Many people have gone through the difficult experience of renting/buying and maintaining properties. The lack of transparency, the “dusty” paperwork procedures, the costs involved and the time wasted in sharing information between stakeholders make Real Estate a “scary” industry. RB: Why did you choose to start Popety in Singapore? M: I have already been living and working in Singapore for three years with my whole family and we were loving it. After selling my previous company, I was eager to start from a blank sheet again and was deeply convinced by the concept. Sharing the idea with a couple of my previous Singaporean investors, they not only encouraged me but also suggested financial backing. Combined with the facilities offered by Singapore, it was just the trigger I needed. RB: Where does Popety’s revenue come from? Services: a commission is raised on deals brought to service providers. Direct Leads: when a seeker shows interest on a specific property, owner/agent can acquire its details for a flat fee. Auction Leads: when a seeker/owner requests the help of an agent to find a property, the lead is pushed to the auction system. Agents bid to win the contact details. Advertisement: Providers can push notifications to users for a fee. Freemium model: in the near future, part of the features will be made available against a small fee. RB: How is Popety funded? / Who are your investors? M: The company has been initially funded by a handful of trusted friends. This helped us get to an operational company and a live beta version of our solutions. We then went through a second SEED with another group of investors, including Mediacorp. We did not feel the need to go through any incubator or accelerator. RB: Who are Popety’s competitors? RB: Who are your partners? M: We have great ambitions which can only be reached as part of a network of great partners. POPETY also plays the role of marketplace where all relevant services around real estate are suggested to customers. This ecosystem is growing rapidly with Tier1 institutions such as AXA, MyRepublic, OrangeTee or Redbrick. POPETY also plays the role of marketplace where all relevant services around real estate are suggested to customers. RB: Prior to Popety, what were you involved with? M: As briefly mentioned, POPETY is not my first business, as you can see with my haircut. Prior to this, I was running a management consulting company which I sold recently, and a Fintech venture that is growing in Europe. We have plans to get it in Singapore over the next few months. From a more humanitarian perspective, I am volunteering to help manage the French School in Singapore. RB: What is the team behind Popety like? M: POPETY is all about team work. I have the chance to be supported by experienced professionals including Fred (CFO) who has a financial auditor and group CFO track record for international companies and Amol (CTO) who was previously Software Architect for Ogilvy and Senior Manager for SMU IT department. In addition, the multicultural team counts 3 Developers, 1 UX, 1 Ops and 2 growth hackers. The company is also supported by a small group of Directors/Advisors such as Anantha Ayer, CEO of Avaloq Sourcing Asia Pacific and Olivier Berthier, CEO of Moneythor. RB: What challenges do Popety face? M: Real estate in Singapore is a big thing not only in numbers but also emotionally. There are a number of perspectives to be considered for someone trying to “touch” it. Some are obvious like regulation but others are subtler and require time to grasp. This market is deeply rooted in most Singaporean citizens, both as a place where your family resides and as an investment vehicle. Changing it takes patience and respect. Start-ups usually try to disrupt. We try to accompany in the change to come. Start-ups usually try to disrupt. We try to accompany in the change to come. RB: How do you detect fraud within the app (e.g. false owners ‘claiming’ properties) and ascertain the real owner? M: There are different ways that we use to control the legitimacy of property claims. This includes extracts from government bodies or proofs of ownership that we can ask from customers. We also leverage other users that can notify us in case of fraud suspicion. RB: How does lead or consumer data get updated? M: Our data structure is layered between public (available to anyone), semi-public (available against payment), private (only available to the related customer) and computed (processed by us) information. Each of these layers are updated in time through dedicated procedures that are ranging from automated algorithm to manual capture. RB: What sets you apart from other property portals? Competitors let users create their own data sets which often leads to inaccurate and duplicated information. Additionally, this only represents a snapshot of specific properties. We only make verified information available to customers and we keep it updated (logbook). We are building a source of truth in real estate which was definitely missing. None of these solutions has a holistic approach covering the complete customer journey. Most of them (classified) are focusing on listings with a very traditional model. This is actually only the very first steps in the life cycle of a seeker or a seller/landlord. Other platforms tend to focus on two customer segments (mostly seekers and agents) while we support all stakeholders (adding owners, developers and service providers), trying to make all of them more efficient. RB: How do agents and tenants benefit from your portal? RB: Are you a friend or foe of real estate agents? M: While POPETY enables owners and seekers to interact directly, it recognizes the added value of agents and keeps them in the model. The opposite is also true with agents, who are convinced that we offer an appropriate solution to help them evolve with market expectations. This is perfectly illustrated by our partnership with OrangeTee and the growing number of agents registered with us. RB: Do you intend to expand Popety beyond the Singapore market? M: Our first focus is Singapore. We want to be locally strong and growing. This means supporting more customers here and offering them more/better services. At the same time, we see strong signals for expanding abroad as our model is scalable. Our priorities will be dictated by our market traction as well as our investors’ appetite. We definitely see ourselves as a future global solution addressing large cities with similar behaviors. RB: Where do you see Popety in 5 years’ time? M: Our vision is to positively impact Real Estate in Singapore as well as in other markets. This requires us to significantly grow our market share and network of partners with converging objectives. As key components, talents and investors will fuel this expansion. In 5 years, we dream of POPETY covering 8 markets, service 150,000 customers, have 50 employees and generate 8 digits in revenues. RB: How long have you been in Singapore? M: 4 years. It is amazing how sometimes it feels a blink of an eye and, at the same time, have the impression of so many amazing experiences. Moving here from Switzerland was a great call. RB: Which part of Singapore do you stay in? M: After four years spent in Novena, quite central while still protected from the Orchard buzz, we just moved to Serangoon Gardens. We needed more space with the three kids becoming teenagers. Ambience is different with a more cozy, intimate type of atmosphere. M: We are renting both the office and our private residence. Going through the “traditional” journey of a seeker, we’ve got the support of agents. After doing this multiple times, it helped me feel what makes sense and what could be improved. The more I know the market, the more I feel ready to buy a property here. This makes even more sense now that we are PRs. I feel it might be the right time in Q2 next year. Market will probably still be bearish for another 6 months before the Government potentially eases cooling measures. The idea is to strike a deal just when prices are at their lowest. Knowing that the US are about to raise interest rates, it could also be ideal for getting a last minute cheap financing. I would obviously consult Redbrick before any decision. The idea is to strike a deal just when prices are at their lowest. Knowing that the US are about to raise interest rates, it could also be ideal for getting a last minute cheap financing. RB: Care to share with me about your property portfolio? M: We own two properties in Switzerland. A villa, a French way to say bungalow, that we got built in 2007. It offers a stunning view on Geneva Lake and the Alps. It is currently rented out to expatriates. The second one is a chalet in the mountains. We go there in winter to ski and gather with relatives. RB: What are your best and worst investment(s)? 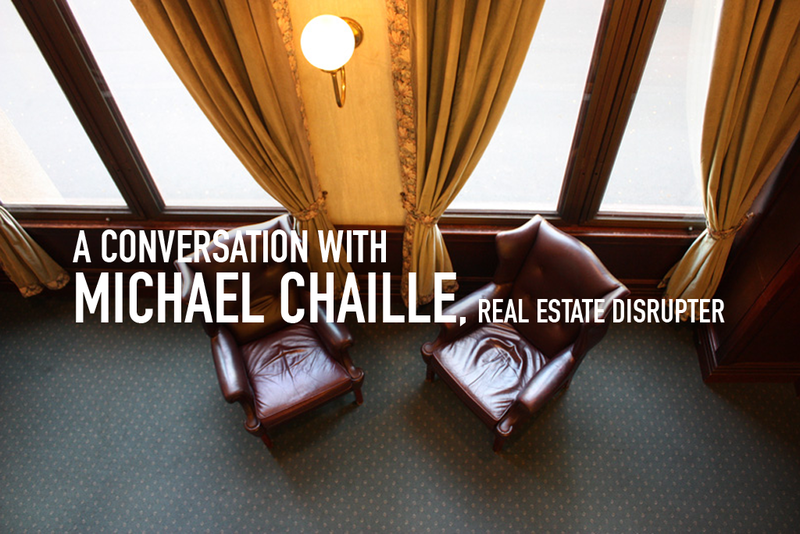 M: Outside of real estate, I would say my best investments were my ventures. I have been blessed so far and not only I enjoyed, almost, every minute but also financially. 8 years back I was invested in the stock market. As you may have guessed, my portfolio was severely hit by the financial crisis. I recall having a position on UBS share. The price dropped from about 100 SGD per share down to 12. I even had the bad idea to buy some more when they first felt to 50. Since then, I have stopped investing in things I don’t understand or influence, even just a little. RB: Given a choice, what properties would you buy in Singapore? Why? M: Considering that I am not a professional real estate investor, I can share what I would do based on my personal preferences. I would look for a spacious property (4 to 5 bedrooms), probably semi-detached, located in a quiet area. No fancy stuff but amenities and features should be well thought of and practical. Ideally it should have a small garden to have BBQs. Another idea would be to find a 1 bedder downtown and place it for short terms rentals. I believe it could make sense financially. RB: What kinds of Singapore food do you like? M: Difficult question… I love them all, except durian which I tried without great success. Chili crab, Hokkien noodles, la la, duck and chicken rice, you name it. My preferred restaurants are actually food courts such as Chomp Chomp. All this with a sugar cane juice or an iced cold tiger beer, yum! RB: Who are your role models? / Who do you look up to? M: I could name a few. As part of them, Walt Disney. Did you know that Disney actually comes from the name of a French city called Isigny? When his forefathers migrated to Great Britain they name changed to Disney (meaning from Isigny) as they were coming from this city and pronunciation is very similar. I believe Walter Disney was one of the greatest entrepreneurs. He started with close to nothing, faced couple of bankruptcies, employee strikes, world war II and still managed to keep the enthusiasm and vision that was required to create a world that still encourages us to dream today. RB: What do you do in your free time? M: I consider myself very lucky. When you have the chance to work with passion, all is free time. My kids actually call the office my playground. That said, I do some running, swimming, travelling and spend time with family and friends. I also try to finish a book that I started almost a year back. RB: Which tech companies do you take inspiration from? M: Apple for design, Uber for simplicity, Microsoft for coverage, Airbnb for the empowerment, Alibaba for the growth. The list is long. Actually so long that it can completely capture your attention. I try to focus on what we need to do and not too much on what others are doing. RB: What is one interesting fact about yourself that people don’t usually know? M: I accomplished some of my education in a monastery. Teachers were monks with only boys in my classes. To hear more from Michael and what POPETY can do for you, watch this space for updates! Hint: Michael will be speaking at one of our upcoming events!